What's next to Conversational AI, Conversational Bots, Chatbots? Is it Conscious Bots? This is an personal opinion essay from Jey Geethan about chatbots and its future. 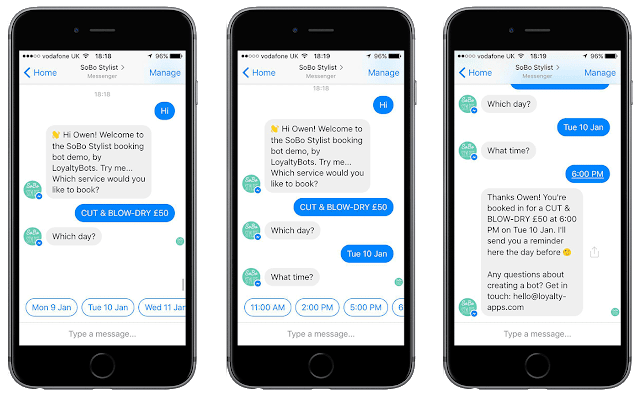 Chatbots are programmatically independent software engines which mimic the way that consumers talk to a person and answer them in a appropriate ways - This could be the simplest way in which you can describe them. Also, you can imagine them to be a situation where instead of you talking to a real person over chat, social media, phone or email, you are instead talking to a computer agent who replies on the human's behalf. Chatbots are almost everywhere now. Every banking website that you see, you have a bot icon at their bottom right corner. Website owners are also implementing chatbots for their websites where they feel that the chatbots can help their visitors in terms of information and also to reduce the amount of work done by the human counterparts. In this essay/article, I would discuss about what the future of conversations are. What might happen to chatbots and what could become of the chatbots as we see now. Computers are becoming more conversational as future unfolds. Chatbots reduce the amount of work that needs to be done from a company perspective. If you see the following example, one can find that the work of understanding and taking action on it is being already done by the chatbot. Chatbots can actually go up a higher on the pyramid and try to build meaningful conversations that can help the consumers to trust and and build a rapport with the business brand. Are All Conversations Good Conversations? The smothering truth of the conversations with the chatbots is that you will feel repeated and you will end up wanting to talk to a real person who can help you better. See the below example. Conversations that can definitely improve on the current consumer situation - be it a helping hand, providing the right information at the right time or helping the customer to commit to the right journey for him/her - would be the utmost purpose of a conversation chatbot. If it fails to accomplish the same for the various reasons, we will be getting the consumer distrust and irritation. Can Chatbots Rule the World? 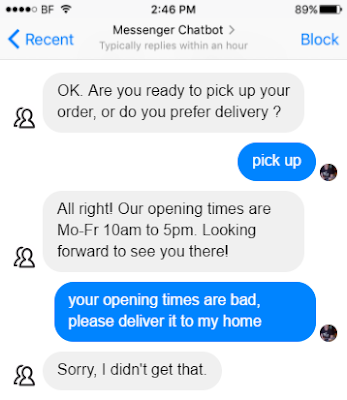 I personally think that the chatbots if done well, can in-fact rule the entire world. For example, take the google's example of Google Assistant calling the restaurant to book a table for you. This is a real good example of how a computerised system can do better and complex jobs for you and even take decisions for you. 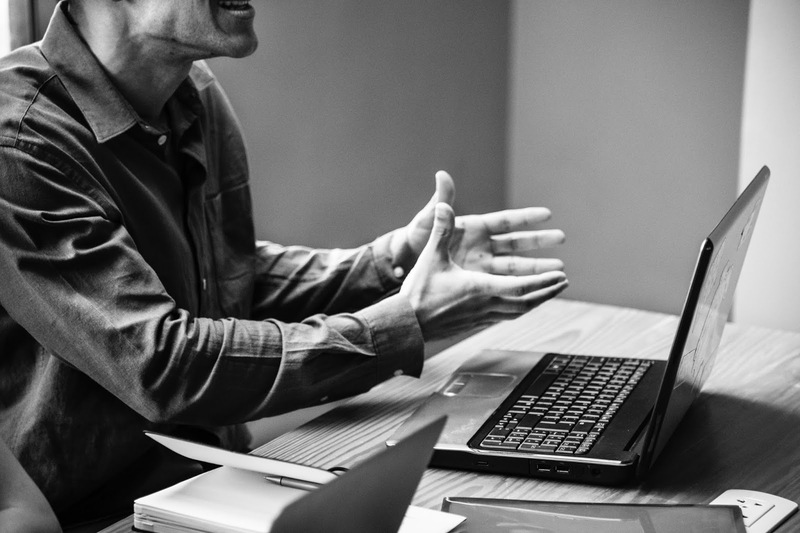 If the complexity that goes into building a chatbot and decisions that come out of each interaction with the chatbots increase with time, the future is near for the chatbots to take care of our almost entire day-to-day work. Combine this thought process with the availability of big data and you have a customer profile which can be a very useful additive to base decisions on. When big data can enable marketing, big data can definitely help chatbots become more useful in the future. Understand the consumer in his/her journey and suggest options accordingly to his positive or negative experience with the brand. Enable consumers to repeat or automate certain actions based on his/her previous actions and the bots can extract this insight from the big-data blackbox of consumer behaviors and his/her similarly profiled consumers. Conscious bots will sprout when the current chatbots can enable the people to do more things correctly and when it hits a ceiling of possibilities with the current chatbot model. Chatbots are on its way to success in helping consumers in getting their actions done. 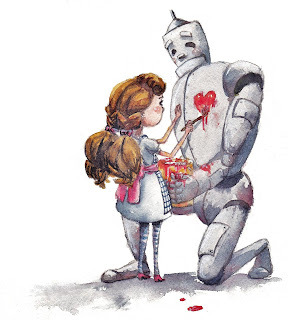 But it also means that it will pave its way for something more meaningful to rise up and be the heart of the Tin-Man of Oz. Share your comments and views below. Hi, just wondering about the use of the word conscious and how strong that really is. I mean your idea about the future of bots is spot on IMHO. You list the features of the abilities the bots will have in the future so well, but does all those qualities produce a conscious entity. I thought maybe the word 'aware' would be more accurate than conscious. I mean that the future bot is aware of a limited set of things and the context is quite narrow. As a B2C bot can only operate in the very context of consumer contact. Should the consumer assume another role then the bot would get lost in the new context. For example booking a hotel room is a possible context but what if the consumer would start talking about the tourist sights in that city or the soccer team of the city (I am thinking about Madrid). With a human the conversation could easily turn to the 'el clasico' game that the consumer is looking very much forward to see once he/she will be in Madrid. Of course the pool of big data could give the bot awareness of the importance of soccer in Madrid and how thousands of people travel to Madrid to see the game 'el clasico' Real against Barca. My point though is what is the definition of consciousness with regards to the bots and would awareness be more suitable word to describe the future bot and its abilities to converse with the customers in a B2C context. Brilliant and a very interesting article.